Other Notes: Collaboration beer. Surly version. 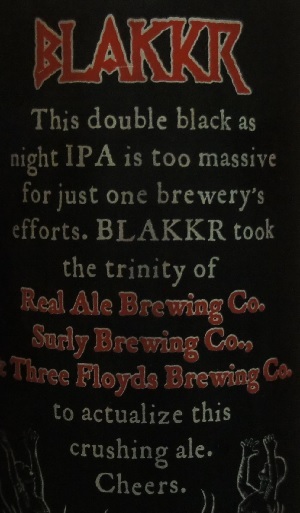 Brewer Description: (from can) This double black as night IPA is too massive for just one brewery’s efforts. 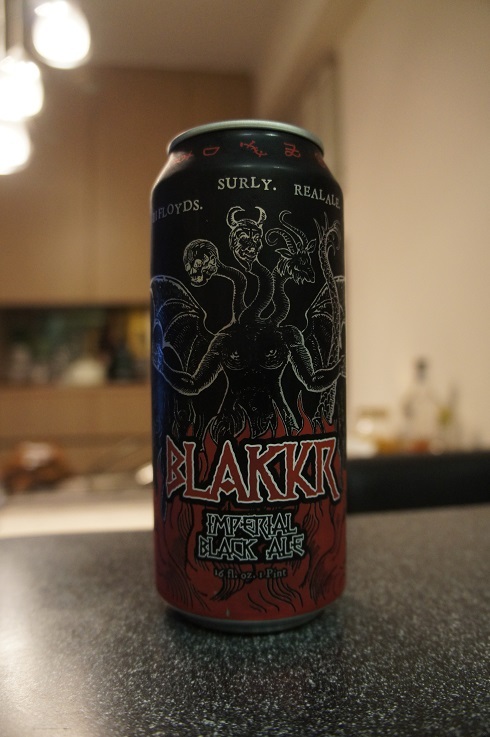 BLAKKR took the trinity of Real Ale Brewing Co., Surly Brewing Co. & Three Floyds Brewing Co. to actualize this crushing ale. Cheers. Intro: A 1 pint can canned on 26th January 2016 and poured into an oversized wine glass. Appearance: It poured a dark dark brown colour with an orange hue and a slightly less than one finger tanned head that dissipated fairly quickly but left nice lacing. Aroma: A mix of piney and citrus orange hops and roasty dark chocolate. Taste: Starts sweet-ish citrusy orange followed by caramel malt, light roast coffee and chocolate plus a hint of char before ending with a lasting pine and juicy citrus light bitterness. 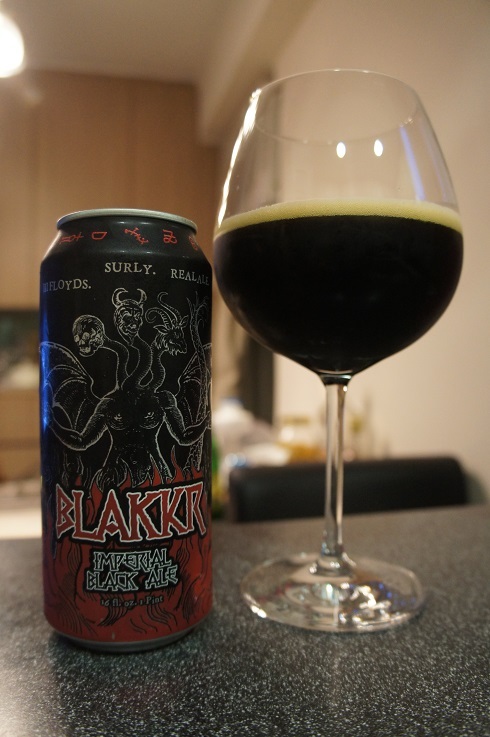 Overall: A nicely balanced Black IPA that hides it’s high ABV well.